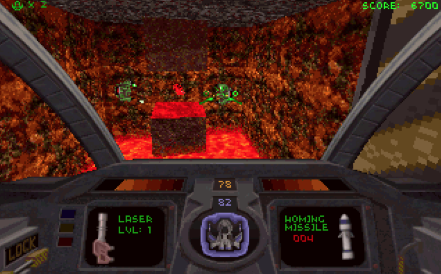 I've added Descent to PiKISS long time ago (commented here), but I didn't have the oportunity to write about it. Now I've recompiled the latest version 0.60 Beta 2 available for your Raspberry Pi. The Post Terran Mining Corporation owns a lot of mines, spread all over planets in our solar system. Somehow all the mining robots become infected with a computer virus and took the human workers hostage. Your job is to infiltrate the mines, clean out the robots, rescue any hostages you find, and lastly destroy the infected mines by destroying its reactor. 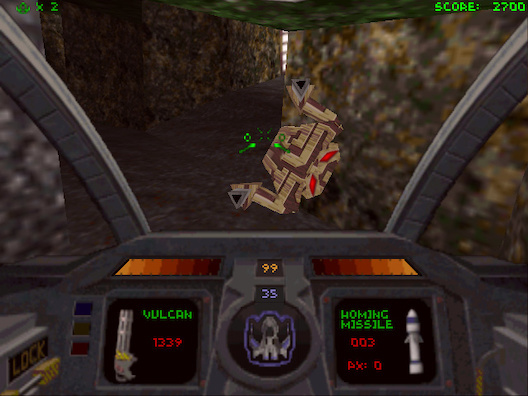 Descent was developed back in 1995 by Parallax Software and published by Interplay. Interplay released one of my favourite RPG in the same year, a game called Stone Keep (watch some videos at Youtube). Now download the shareware version, get the full game or you can use my PiKISS script at the link below with some interesting addons. The game with some specific tweaks runs flawlessly, even with high resolutions. We have Descent 1 & 2 thanks to the project called DXX-Rebirth that introduced new features like effects like Transparency, Colored lighting, Texture Filtering, FSAA, etc... This version fixed old glitches and cleaned up a lot of the old code, too.